Update now for improved navigation that tracks your reading progress. 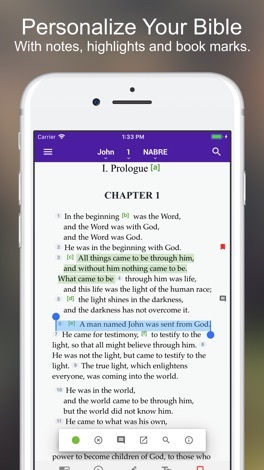 Use bookmarks, notes and highlights with improved functionality. Search moved to top now includes our popular Explore categories. Subscribers can now compare translations with split screen. 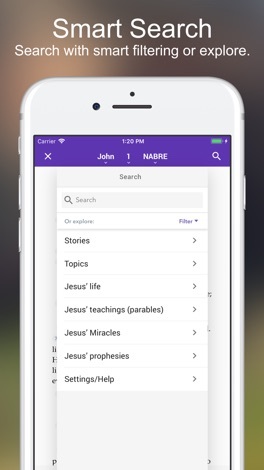 This Catholic Bible app features a free online Douay Rheims Bible. 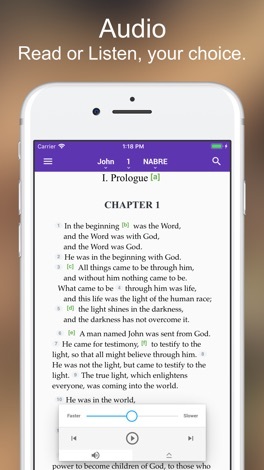 Other approved Catholic Bible versions are available for download including the New American Bible Revised Edition - NABRE which carries the Imprimatur and Nihil Obstat from the Confraternity of Christian Doctrine and the United States Conference of Catholic Bishops. 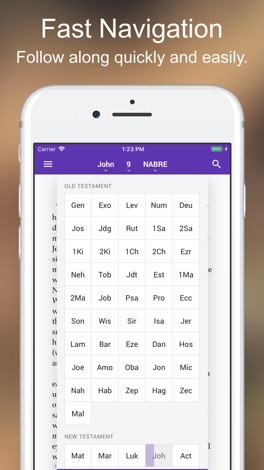 Or choose from 41 additional versions in 9 languages. 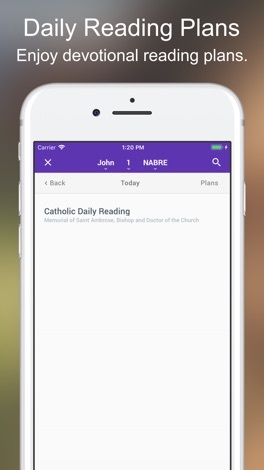 Finally a Bible App for Catholics. Download it today!